You can’t make any money on your real estate investment property unless you sell it first, and you can’t sell it if you don’t attract potential buyers. How you price your property is one thing, but marketing it is something else entirely. As a fix and flip investor, your goal is to rehab and sell as fast as possible so you can earn a profit before moving on to the next property. Anything you can do to speed this process along will help tremendously. Here are some great tips and tricks to market your fix and flip so it sells faster than ever. A picture really is worth a thousand words, and you want your property to speak to buyers as much as possible. Avoid using your phone’s camera and spring for either a nice digital camera or spend a little extra and hire a photographer to take professional photos you can then use in your marketing. Your agent can typically assist or recommend a good photographer. Don’t take those great photos on a gloomy day when the sun is hidden behind clouds and the house is covered in shadows. You want the photos to pop, grab the attention of someone scrolling through them, and really showcase how beautiful your investment is. You’ve spent enough time and money to turn this fix and flip into a pot of gold, so make sure your photos illustrate that. You’ll need to decide whether you are going to try and sell your property alone or hire a real estate agent. If you are listing multiple properties at once, or perhaps this is your first sale, an agent can help take on the responsibility of marketing the property for you and potentially reducing the amount of time you have to spend handling these tasks. 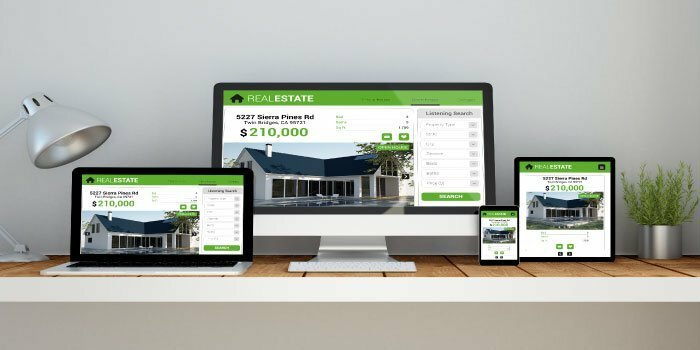 Sites like Realtor.com, Trulia, and Zillow are of course the major players in the real estate listing game, so getting your property into MLS will help boost its visibility tremendously. This may be an obvious one, but sometimes sellers will try and start marketing a property while repairs are still in progress. Avoid having any evidence of your renovations being done such as ladders, paint cans, or construction equipment and have each room clean and tidy. Consider paying for a professional cleaner to really make the property shine. This is one of the most important ways you can make your property sell faster and be more appealing to buyers. Empty rooms just feel…well…empty of course. Adding furniture and decor to a home will not only help buyers envision what it would be like to live there, but it also lets them see just how much they can potentially fit in each room. For example, putting a king-sized bed in the master bedroom says so much more than just telling buyers they could fit one. Simple items like tables, lamps, paintings, mirrors, plants, and rugs in the main living space creates a welcoming feel during an open house and in pictures. If you are unsure how to stage properly, consider hiring a staging company that specializes in this business. The first thing buyers will see either when they look at the photos of your house or when they visit the property is the front and curb appeal can make all the difference. Add some landscaping like bushes, shrubs, flowers, or trees to create a more inviting entrance. Refinish the porch railings or spruce up the patio with some furniture and decor for added appeal. Get rid of any broken screens or chipped paint for a fresh look to your home’s exterior. Replace or repaint the mailbox and place a welcome mat outside the front door. Besides the photos, another key part in selling your property is the listing itself. What you put in your property’s description will also have an impact on a buyer’s interest. Strike a good balance between description and features, meaning don’t just list out a bunch of specs for the property and don’t give superfluous adjectives just to add fluff to the listing. Show them the benefits rather than just telling them the details. We have the luxury today of virtual tours that buyers can use to “walk” the property without even being there. Buyers will love virtual tours because they are a much more immersive experience than a photograph. For even more options, provide 360-degree panoramic views so buyers can really get a better look and feel of the house. Get the word out on your listing by posting it your social media channels. Use those connections to your advantage and let others know that you are looking to sell. Since so much of social media is visual, your eye-catching photographs and engaging virtual tours will really go a long way across all your online networks. Sometimes you just have to rely on the old-school way to market. Put up a “For Sale” sign in front of your property and attach a container with flyers that list the property’s information and how they can contact you. You’ll be surprised how many people still drive around looking for real estate today. Additionally, listing your property in the newspaper or the local HOA newsletter can still be an effective means of finding possible buyers. LendingOne is a leading direct private lender in the country with fix-n-flip and rental loans designed specifically for real estate investors. Apply today and start growing your real estate business with LendingOne.